Management consultancy, strategy consultancy, Financial & investment advisory, valuation, access to finance, stock market readiness, private equity. Architecture, Regional tourism planning. Founder of the science of BioGeometry. Futuristic environmental solutions. Genaral Manager at Edara Investment Co.
EGCS provide Management Systems Training and Certification for: ISO 9001, ISO 14001, OHSAS 18001, ISO 22000, ISO 27001, ISO TS 16949, ISO 50001. Eleftheriou Associates is a consultancy office providing one stop shop services to any foreign company looking to enter the Egyptian market. 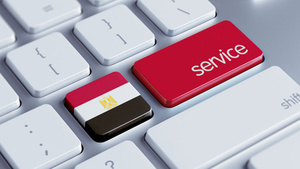 Eleftheriou Associates Consultants assists Egyptian clients and especially SMEs, to establish leads in the EMEA region. We worked in field of manufacturing metal. Founded in 1968 as an Engineering Consulting Office (ECO) for the design, study and supervision of all civil projects. FinBi has the mandate, the set-up, the autonomous status and resources to provide state-of-the-art technical advice and services.